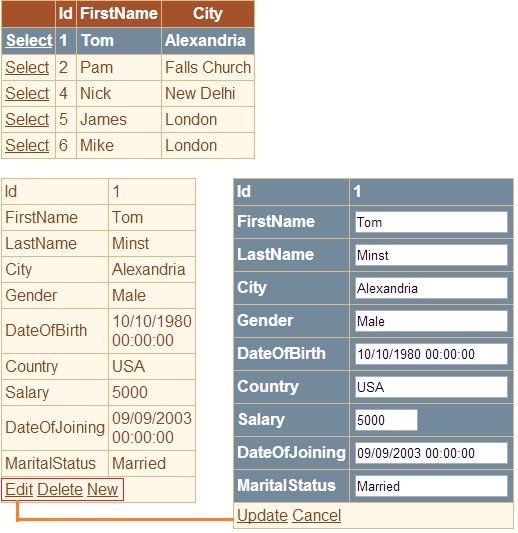 In this video we will discuss about inserting, updating and deleting data using detailsview and sqldatasource control. Step 1: Drag and drop a gridview control, a detailsview control and 2 sqldatasource controls on webform1.aspx. Step 4: Configure SqlDataSource2 to retrieve all columns from tblEmployee table. Add a WHERE clause to filter the rows based on the selected row in GridView1 control. 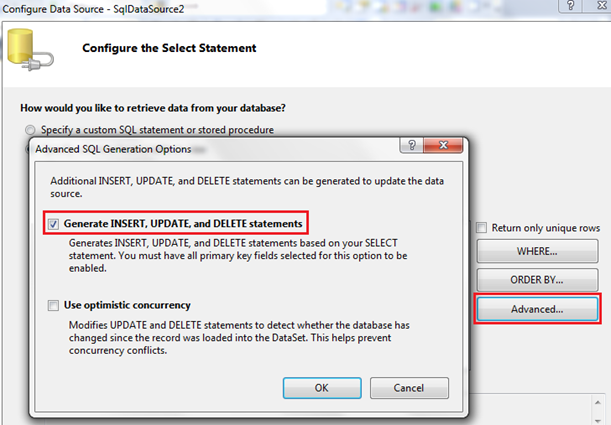 Step 5: While configuring SqlDataSource2 control, click on "Advanced" button, and make sure "Generate INSERT, UPDATE and DELETE statements" checkbox is selected. 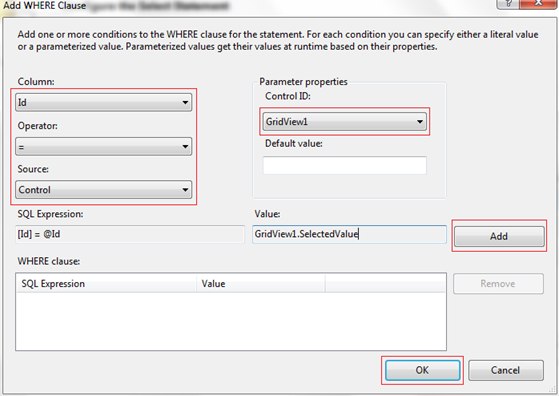 Step 6: Associate SqlDataSource2 with DetailsView1 control and make sure the following checkboxes are selected. Step 7: Generate ItemInserted, ItemUpdated and ItemDeleted event handler methods for DetailsView1 control.